1. Sidewalk improvements at the Natural Oasis are underway and should be completed by June 1st, weather permitting. 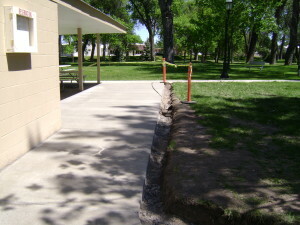 This sidewalk will enable the kids from ROCKS and the swimming pool to have a safe access to the pool and to Riverside Parks. 2. 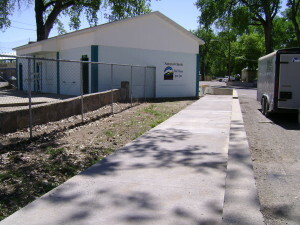 The second project is the sidewalk and concrete apron at the Riverside shelter. 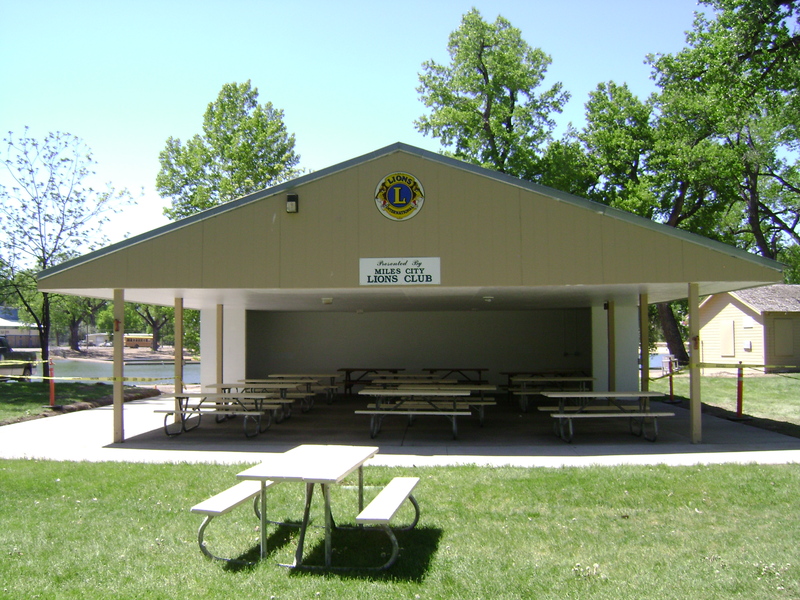 The Lion’s Club donated $5,000 before they disbanded and earmarked it for shelter improvements. The parks crew will be cleaning up the site the week of May 18th. 3. 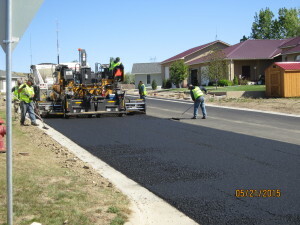 Paving in Maintenance Districts #204 & #205. 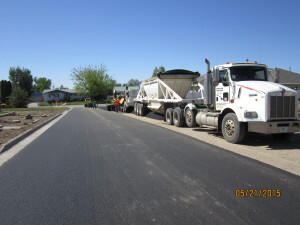 May 21 paving of Arrowhead Lane. May 27 Hubble St. from North 7th going west for one block to North 6th St.
May 27 Pleasant St. & North 1st St.
May 28 Riverside Park Road to Pacific St. and Sloan Road from Pacific St. to Jaycees Park. June 1 Tompy St. from South Stacy to Eagle St. The paving on Tompy will last several days, weather permitting, and crews will have traffic diverted in the areas that are being paved.